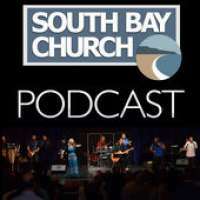 In the South Bay Church of Christ, our deep passion to love God, his Word and his people is made known by our love for one another. Special guest speakers: Marvin & Sharisse Lucas. Sometimes, we can forget what we have been given and complain about what we receive. The "Heat of the day" can cause us to forget all that God has done for us and focus on what we don't have. When we remember all that God had done for us, we are much better people as a result. Wellness has many different levels. Spiritual is definitely important, but not the only part. Many times in the scriptures, it speaks of taking care of our bodies. How you look is not essential, but making sure you are healthy is commanded by God. All aspects of our wellness are vital, but we need to make the necessary decisions to work on each part, individually. Several brothers and sisters share about what worship means to them, including Joe Perez, Elaine Johnson, Davita Fountain, and Andy Winje. Brian Craig also delivers a powerful sermunion about God's holiness, and how through his Spirit, we are made holy as well. Annual Harvest Fest for 2017. Reyn and Nancy Hornwood share their testimony and what brought them to Christ, as well as what helps sustain their relationship with God and each other. God's grace is something that all Christians strive to understand. We all know that we don't deserve it, but we desire it with all our hearts. God's grace comes through Jesus, whom we must learn to trust. We can't trust him until we know him intimately, We can then truly experience God's grace through living like Jesus. As people, we can certainly be complicated at times. We need others in our lives to help us sort through our issues. For those that maybe did not have parents to teach them, spiritual mothers or fathers can be of tremendous assistance to help us work through the things we deal with on a daily basis. God created all of us for a purpose. None of were accidents that were not meant to happen. He has a specific plan for all of us and wants to see that plan fulfilled in our lives. We were created just below him and the angels, so we need to use that purpose and bring God glory through fulfilling the glory he has planned for us. It is not usual for people to see God as a reflection of their earthly father. This can lead them to have misconception about how God will treat them, especially if their father was not around or mistreated them. For everyone though, God is not a better version of our fathers, he is the perfect version. Special Missions is a necessary time each year. We have so much her in America that it is only right that we share with those in other countries that are in need. We support Mexico, Central America and the Middle East. Many stories, via video, were shared that represents why we collect money to help these nations.